Chennai started batting first but the openers could help the team with a firm base. The openers Faf Du Plesis and Shane Watson couldn’t do much with his bat. However, Ambati Rayudu and Suresh Raina took the chance to fire the stadium with their bat. Rayudu played an amazing innings, hitting 79 runs off just 37 balls. Dhoni and Raina were on the ground while CSK left the board at 182 to start bowling. Skipper Kane Williamson put a brilliant effort with his bat hitting runs at a strike rate close to 200. Much like Virat Kohli, Kane Williamson looked to be the lone warrior roaring in the field. However, he was later joined by Yusuf Pathan. Hyderabad started their campaign in the most astonishing way. They had a three consecutive victories registered in their name but it was stopped at Mohali by the Kings XI Punjab in their last match. 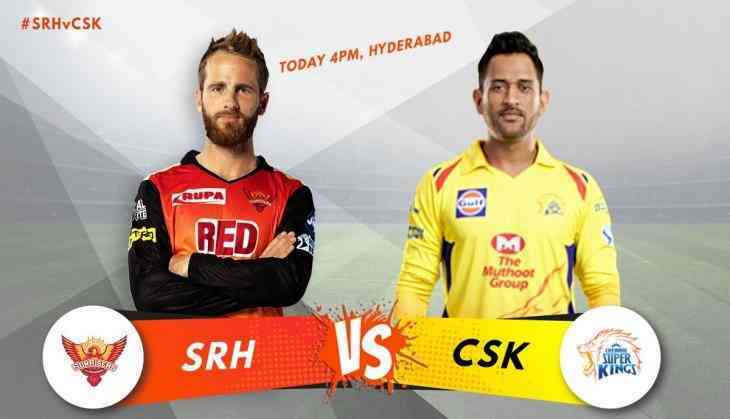 Sunrisers Hyderabad have been relying on their extraordinarily strong bowling department, they wer able restricting their opposition under the totals of 150 for their first three matches. 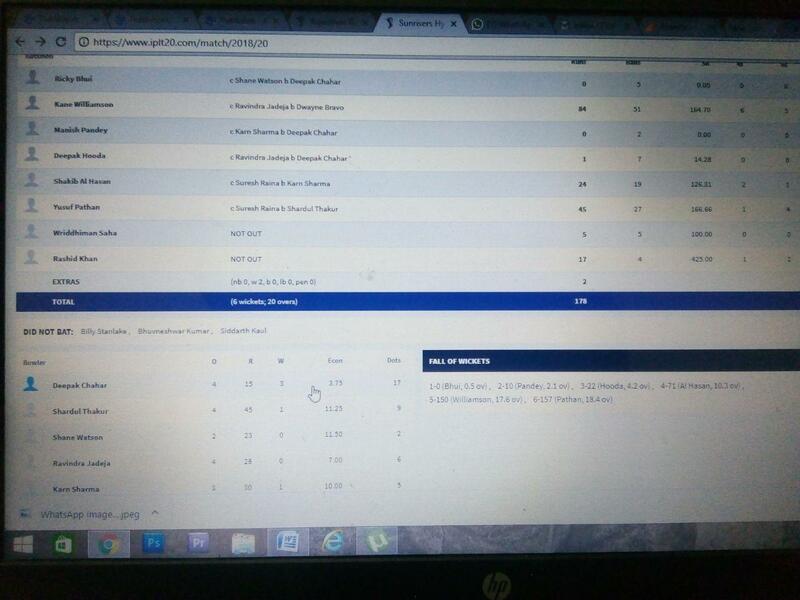 But KXIP gave SRH a challenging total of 194 to achieve. Among the bowlers, Bhuvaneshwar Kumar was excellent as usual, and Siddarth Kaul got away with respectable figures, but Rashid Khan had a forgettable outing – suffering at the hands of Chris Gayle, who struck the season’s first century. Whereas Chennai Super Kings had an excellent last match win that they indeed want to carry forward. 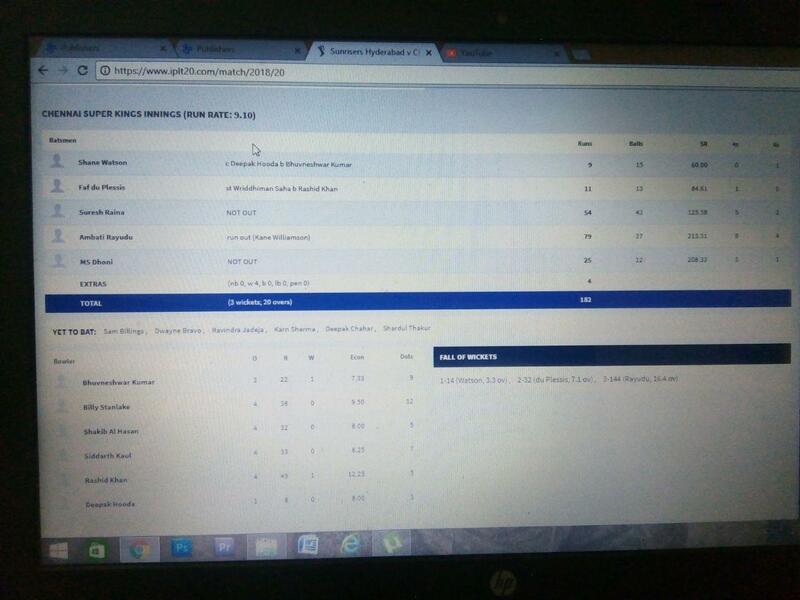 CSK defeated Rajasthan Royals by a huge difference of 64 runs. Shane Watson seemed furious over the ball and came with adequate punishment for the ball ending up hitting his third IPL century.